“Take social media, the handful of the largest global tech companies have managed to amass an enormous amount of power over how information is consumed,” said SXSW Convergence Keynote, Sadiq Khan on Monday, March 12 at the 2018 SXSW Conference. Sadiq Khan, the Mayor of London, focused his keynote speech on one of the biggest challenges today facing Britain, America, and countries across Europe – how we ensure that advances in technology are utilized for the benefit of everyone in society. In the context of the rise in populism and the major economic, political and societal changes we’ve seen in recent years, Mayor Khan used his speech to address both the potential risks and great opportunities presented by the current tech revolution. In particular, he highlighted the growing power global cities have to help shape the debate about the impact of technology for the better by ensuring it is utilized to improve lives and reduce inequality. Sadiq Khan was elected Mayor of London in May 2016 winning the largest personal mandate in the history of British politics. Before this, he had a distinguished Parliamentary career as the Member of Parliament for Tooting, a constituency in south London. He served as a Minister in both the Department for Communities and Local Government and the Department for Transport under Prime Minister Gordon Brown, becoming the first Muslim to attend Cabinet. He later served as the Shadow Secretary of State for Justice and the Shadow Minister for London. Khan was born and raised in London. Before entering politics, he studied law at university and went on to work as a respected human rights lawyer for more than 10 years, helping to run a successful law firm. Khan was a councillor in the London Borough of Wandsworth from 1994 to 2006. He continues to live in Tooting with his wife and two daughters. 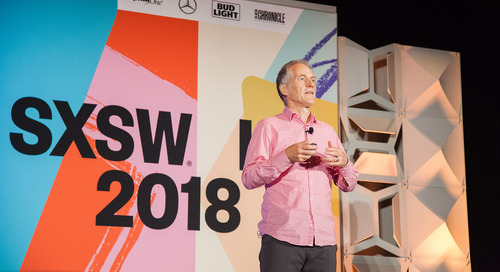 Watch the video above for the full 2018 SXSW Conference Convergence Keynote with Sadiq Khan. 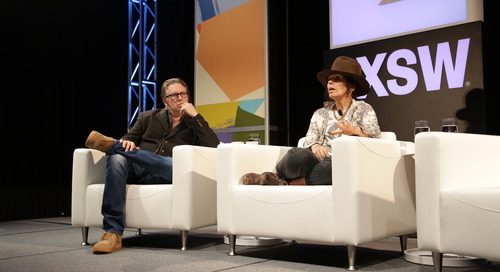 Get inspired by a multitude of diverse visionaries at SXSW – browse more 2018 Keynotes, Featured Sessions, Red Carpets, and Q&A’s on our YouTube Channel. The post Mayor of London Sadiq Khan Convergence Keynote at SXSW 2018 [Video] appeared first on SXSW.